Hmmm…Wouldn’t it be great if I got my dream car in 2007? I’ve always believed that 2007 was going to be my year…. Today I revisited the Miramar Audi website after receiving their monthly newsletter. 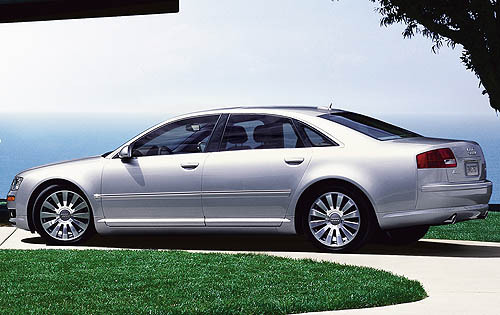 Looks like they got in the new 2007 A8! For those of you in San Diego, you may be interested in checking out the yearly Auto Show that takes place down at the Convention Center. I will be there on Friday!